The Army is taking too long to suspend and debar unethical contractors working in Afghanistan, heightening the risk that funds could flow to terrorist groups, a group of senators has charged. Led by Sen. Claire McCaskill, D-Mo., chairwoman of the Senate Homeland Security and Governmental Affairs Contracting Oversight Subcommittee, the lawmakers expressed concern in a Dec. 7 letter to Army Secretary John McHugh and Army Chief of Staff Gen. Ray Odierno about delays between the time the Army receives a referral on a questionable contractor and when it takes action to withhold future work. According to the Special Inspector General for Afghanistan Reconstruction, the Army from June 2011 to June 2012 took an average of 323 days to process a debarment referral. "It is the responsibility of the Army to ensure that all suspension and debarment referrals from SIGAR are processed in a timely fashion in order to stop any uncovered abusive practices as quickly as possible," McCaskill wrote. "Unfortunately, significant time lapses between referrals and debarment action often allow more money to flow to corrupt or poorly performing contractors." The letter also was signed by Sens. Jeanne Shaheen, D-N.H.; Tom Coburn, R-Okla.; Richard Burr, R-N.C.; Jim Webb, D-Va.; John Cornyn, R-Texas; Jim Inhofe, R-Okla.; and Richard Blumenthal, D-Conn.
McCaskill also questioned the Army's failure to act quickly on more than 40 debarment recommendations involving individuals or companies with links to terrorist organizations, among them the Haqqani Network and al Qaeda. The senators urged the Army to scrutinize those cases and report back with an action plan within 30 days. Congress’ now-disbanded Commission on Wartime Contracting found in 2011 that the government may have wasted as much as $60 billion in war zones in Afghanistan and Iraq due to contractor fraud. 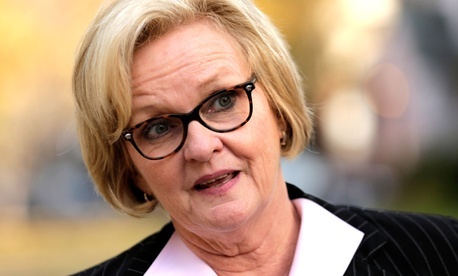 The pending fiscal 2013 Defense authorization bill includes McCaskill’s language to beef up use of suspension and debarment, a move that many in the contracting community consider too punitive. Governmentwide, suspensions and debarments have increased during the past three years, the Office of Federal Procurement Policy reported in September, rising from slightly more than 1,900 in fiscal 2009 to more than 3,000 in 2011. The Army, on the domestic front, this month proposed prohibiting federal contracts to a Republican member of New Jersey’s state legislature over allegations that his company failed to pay money it owed an Afghan subcontractor and failed to deliver an aircraft maintenance shelter for U.S. forces in Afghanistan.